Get your free copy of my eBook, Money Management 101. It is filled with valuable tools and strategies to help you to understand basic money principles. Take this first step to turn your money life around and to reach your financial goals. Get your free copy today! 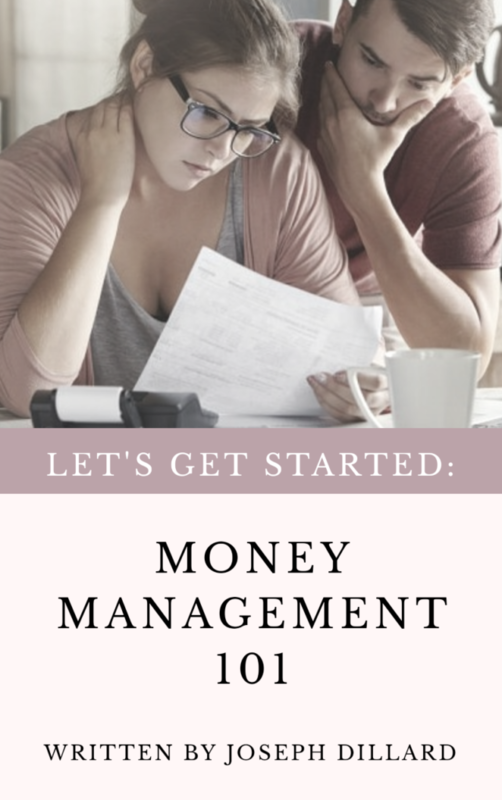 If you are just starting to learn how to manage your money or you would like more tips to reach your financial goals, this eBook is for you. My free eBook will give you information to help you to start winning the Money Game. Winning means more money for you. Please download it and tell others about it so they can get their free copy too! It's definitely worth having and worth sharing. Get your copy today! We all value money differently. The way we value money depends on different factors including the way we were raised, our experience with money, and what we were taught about money. Before you begin this journey with me, I think a look at your relationship with money is a good place to start. It can also be fun to see how closely your "Money Color" matches the way you actually value money. Sign up for my free e-book below, then take the quiz. Let the journey begin! Download a free copy of my Two Week Spending Tracker. Track your daily expenses and find out where your money is going. This is a valuable tool I use at workshops and with clients. It's a great first step. Take the "Money Color" Survey today! Do you know how you value money? See how closely the survey matches your relationship with money. Share the survey with a friend or family member so they can know their "Money Color" too! 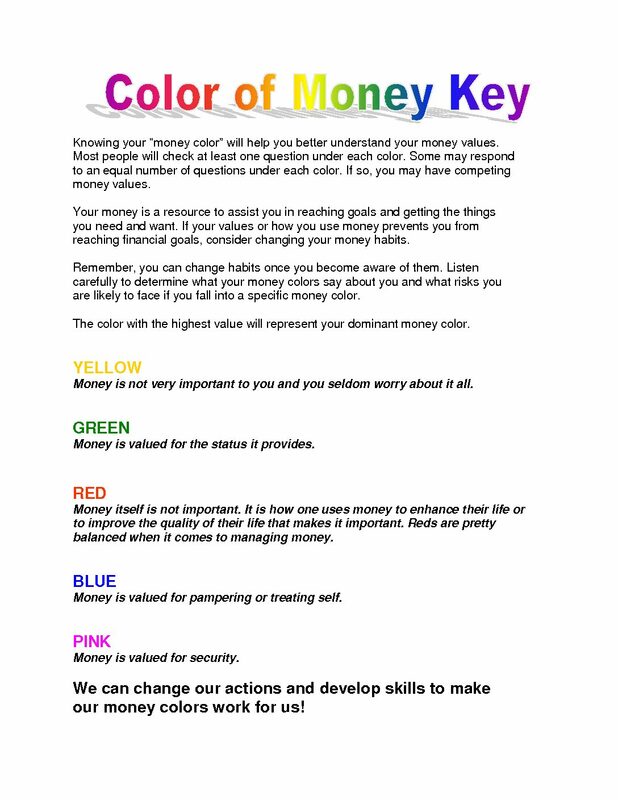 What's your "Money Color"?